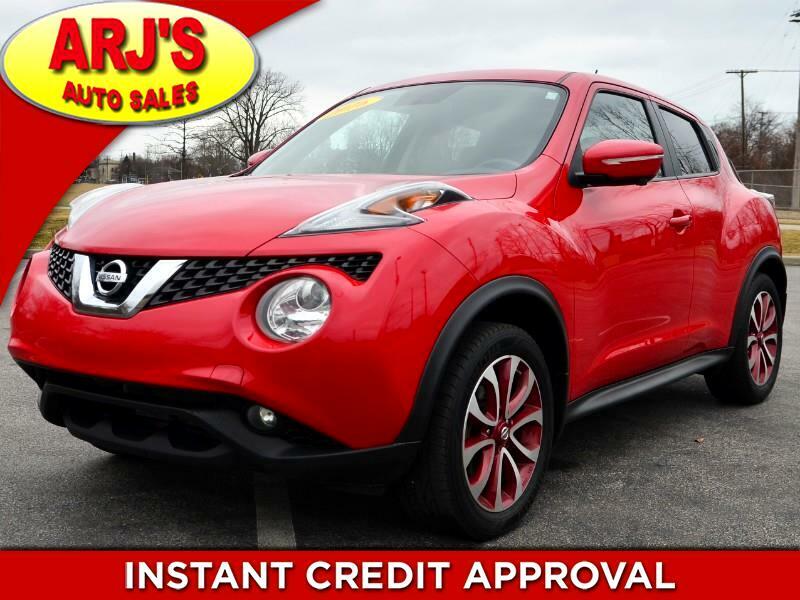 ARJ'S AUTO SALES IS PROUD TO PRESENT THIS ONE OWNER 2011 NISSAN JUKE SL AWD WITH ONLY 95K ORIGINAL MILES. CLEAN CARFAX WITH 20 SERVICE RECORDS. A METALLIC RED EXTERIOR OPENS TO A BLACK LEATHER INTERIOR WITH RED ACCENTS THAT MATCH THE EXTERIOR. EQUIPPED WITH A MOONROOF, NAVIGATION, 3D REAR CAMERA, KEYLESS START, CD STEREO WITH CONTROLS ON THE STEERING WHEEL, BLUETOOTH, POWER WINDOWS, LOCKS AND MIRRORS, AND CRUISE. THE 1.6L 4CYL ENGINE GIVES YOU FUEL ECONOMY AND AMPLE POWER. THE ALLOY WHEELS HAVE RED ACCENTS & GREAT TIRES TO GO ALONG WITH A SUREFOOTED AUTOMATIC AWD SYSTEM. WE WELCOME ALL OUT-OF-STATE BUYERS AND TRADE-INS. AIRPORT, BUS AND TRAIN STATION PICK-UP IS NO PROBLEM!!! FOR MORE INFORMATION AND TO SEE THIS NISSAN, CALL 216-631-3600.